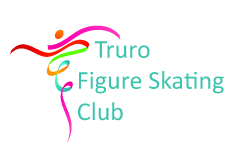 Q: When will registration for Truro Skate with a Champion: Lee Barkell open? A: Registration is open now! Q: Where is Truro Skate with a Champion: Lee Barkell taking place? Q: How do coaches register? A: Coaches are able to register online. Make sure you choose the Coaches program. Q: What supplies will skaters need? A: Skaters will need to bring layers so they can manage their temperature during the seminar. The rink is not heated so take that into account! Skaters can choose between attending Performance Make-Up Tips & Tricks or a flexibility session. If attending the Performance Make-Up session, please bring your full kit of make-up, brushes and other tools. bring make-up removal towelettes and bring a small stand mirror so you can apply make-up during the session to practice the tricks you're taught. Those attending the flexibility session will need a yoga mat. And everyone will need off-ice gear suitable for dancing and free movement for the Creative Movement session. Don't forget to bring healthy lunch and snack items so you can get the most from the day. Also, there is a Subway next door but they can be a bit slow. The rink's canteen will be open with the usual goodies too. Q: Why aren't I able to send an e-transfer to register my child? A: We're trying to keep the registration process as clean as possible so we're asking that you register online, or contact us to do it via paper and cheque/cash. Q: Why did you move Truro Skate with a Champion to the spring? A: The fall was getting to be a difficult time to schedule this event - other seminars being offered, busy ice surfaces, and the usual competitions. We try to keep the timing fluid so we can accommodate our host champions' demanding schedules but we expect it will stay in the spring going forward. Q: How do you choose the host champions? A: We always try for a Canadian first since our country is a figure skating powerhouse with lots of talented champions. So far, we have booked champion figure skaters but we also consider coaches and choreographers who have accomplished great things with their skaters. We take into account the wish list of skaters in Atlantic Canada, of course. They usually have lots of suggestions! We focus on booking host champions who have achieved greatness (or are on the road to it) and who have an interest in and love of teaching. We want them to be upbeat and fun, while also demanding the best of our participants. And then, of course, we have to consider availability also. Easy, right? !